Dr. Daniel L. Farkas PhD is a Co-Founder of Brilliant Minds Solutions LLC. In addition to his impressive professional scientific and academic achievements thus far, he also focuses on finding the most qualified PhD candidates through his nationwide and global network with top-notch Universities and long-term professional relationships. Together with Dr. Anika Jospeh-Smith, his former pupil, they oversee our recruiting department and manage our detailed PhD candidate selection process to ensure that we present the best talent to fit your organization’s immediate hiring needs. Our candidate selection process is swift and seamless. Brilliant Minds Solutions automates and significantly simplifies the time-consuming efforts of searching for and hiring specialty PhDs. 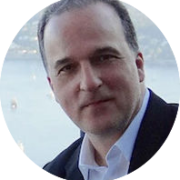 Dr. Daniel L. Farkas was trained in Theoretical Physics in Romania and holds 2 PhDs in Biophysics and Biochemistry from the Weizmann Institute of Israel. This is where he received his first of many prestigious honors to come, the Dr. Chaim Weizmann fellowship award. Dr. Farkas came to the U.S. as a Fulbright scholar, conducting research at UC San Diego and the University of Washington. He then became a Fulbright lecturer at UC Berkeley. His additional honors include the Yashinsky Outstanding Graduate Student Prize, EMBO and UNESCO fellowships and the Aharon Katchalsky-Katzir Award. After junior faculty appointments in the U.S. and the Weizmann Institute, he settled at Carnegie Mellon University as an Associate Director and the Director of the Center for Light Microscope Imaging and Biotechnology (1992-2002), a National Science and Technology Center that won the Smithsonian Award for Science in 1996. Dr. Farkas has raised $60 million in peer-reviewed funding/grants to support his research efforts in which he was awarded the Automated Imaging Association Award for Scientific Application (1994) and the Sylvia Sorkin Greenfield Award from the American Association of Physicists in Medicine (2002). Simultaneously, Dr. Farkas was a Professor of Bioengineering and Pathology and the Director of the Bio-Imaging Laboratories at the University of Pittsburgh. Additionally, he held core faculty appointments at the McGowan Institute for Regenerative Medicine and the University of Pittsburgh Cancer Institute. From 1995-2005, Dr. Farkas served as the Associate Director of the Pittsburgh Tissue Engineering Initiative, a regional non-profit organization recently re-named the National Tissue Engineering Center. In 2002, he was also appointed Vice-Chairman of research for the Department of Surgery at Cedars-Sinai Medical Center in Los Angeles, CA. In 2008, he was elected President of IMLAS, an international interdisciplinary surgical society. Dr. Farkas remained at Cedars- Sinai Medical Center through July 1, 2010, with additional appointments as the Director of the Minimally Invasive Surgical Technology Institute and Professor of Surgery and Biomedical Sciences. Currently, Dr. Farkas is a Research Professor of Biomedical Engineering at the University of Southern California (USC), an Adjunct Professor of Robotics at Carnegie Mellon University and a visiting Professor at the Beckman Institute of Technology in California. He has published 160 articles and authored and edited 18 books. He is on the Board of 11 editorial journals and has chaired over 25 International conferences. Dr. Farkas has founded numerous successful high-tech start-ups including ChromoDynamics Inc., TissueInformatics Inc., EpiLumina Inc., PhotoNanoscopy Inc. and the Brain Window Inc. Lastly, Dr. Farkas is also the co-founder and chairman of Spectral Molecular Imaging Inc. where he is actively focusing on scientific research and development. Having lived in several countries, Dr. Farkas has 3 citizenships (including U.S.) and is fluent in 5 languages.